DONT OPEN. DEAD INSIDE! As we progress through the opening stages of the app, this page will serve as a place to get tips, commentary and help on your own collection. I know that not everyone is going to be familiar with how it works, so if you have little experience with Topps Digital, this is the place to go. I will do my best to piece together all the different tidbits of information I pick up, and will post them here. This page should serve as a comprehensive look at the nuance of the app. This is the main space where all app info will be posted. You should read every article that is posted on the feed, as it will detail new packs, cards and award chases. If you avoid this part of the game, you will miss out. Plain and simple. When something new hits the game, something will be posted at or near the top of the feed. Read it before you go diving in. Not only will it detail difficulty to achieve, but card count limits and other valuable information. THIS IS ESSENTIAL to be successful, as the level of detail with each set can be extreme. For this game, coins are your main way to participate in the game. Because they provide the only way to get more cards and expand your collection, its best to make the most of them. As of week 1, the daily bonus is 25,000 credits, although that could easily change. This means, for lack of a better way of putting it, you can open 5 of the 5k packs per day. That isnt a lot, because they have replaced the gameplay element of the sports apps with much more of a focus on collectability. Without spending your coins wisely, you could easily find yourself out in the cold when a cool card is released. Buying coins from the store can happen any number of ways. The larger the buy the more bang for your buck. Regardless of how you purchase, its best to be smart and determine the best way to spend. I will say this, buying with real money is almost essential to making the most of your collection, but you can survive without it. Deciding against purchase will force your effort in trading to be much higher, but you wont have to worry about the increasing costs for many of the top sets in the game. Just be prepared to understand that you cannot collect everything without spending money. This is a feature of the game where you can build your collection through trading in lower rarities of base cards for higher ones, and also get exclusive inserts and other content. There are certain inserts that are only going to be attainable through the exchange, and most of the time are only available for a limited time. When items are “shredded” through the exchange’s features, anything traded in will no longer be a part of your collection. Not only that, but the shredded items are completely removed from the game and may never be available again. Be aware that shredding items comes with a lucrative reward in some cases, but it can also be costly. To see what is needed to build an item, all you have to do is go to the card exchange part of the sheet and click on the item you want that has the little gold logo by it. It will bring up the shredding screen where you can view the necessary pieces needed to complete the offer. The exchange will continue to be a huge part of the game going forward, and I can see many different things being used to make it attractive to all the users. Only time will tell what the potential for this feature truly looks like. There are two types of card in the app, base and inserts. Most base is available in the main packs in the store, while some are only available in master packs. As for inserts, many if not all will have their own special pack. Read the articles associated with each release to make sure you open the right pack. As for inserts, there will be many different types of cards, offered on a limited basis, with any range of odds to pull them from packs. Unlike base, these cards can carry huge value based on character, card count, and other elements of their design. This is a user created element to the game that has become a huge focus for SWCT, and probably will transfer over to TWDCT. To put it simply, some users have chosen a character and have looked to acquire as many of that character’s card as possible. Some hoards can number in the tens of thousands over time. As we have seen in the past with the other apps, the pack structure is one of the more contentious parts of the app setup. Because packs can be such a big part of a user’s daily experience, there are a lot of people who will always have issue with the way they are launched in the store. Keep in mind that with a daily bonus of 25k credits, the packs you open become a measure of your success in the game. Here are how packs are set up, but realize that just because you are opening an “Deluxe Base Pack” doesnt mean all the cards are of the top parallel. Read carefully about the odds per pack before opening. White Pack (2500, 3 cards) – This pack only has white and blue cards in it, and only offers 3 cards. Blue Pack (5000, 5 cards) – This pack features a small shot at red in addition to the blue and whites. If the SWCT model holds up, this is where some weekly inserts will be available. Deluxe Base Pack (25k, 15 cards, MASTER) – This features the best access to Green base, along with the absence of white base entirely. This is quite expensive right now without the Black base included, but that might change in the future as more content is released..
With all packs, my suggestion is to wait to open packs until one of these two situations happens. It is best to open packs right after inserts are released. More people will be ripping, and your likelihood of hitting the cards you want will be better. Outside of that, try to open at times you know there are a lot of people on the app. Dinner time gets a lot of traffic, as will times when the show is on TV. As the premium content for the app is released, it is likely that direct purchase will be used in some cases. Through the direct purchase process, Topps has to bank on the cards selling up to their value on the secondary market. In some cases, that type of result doesnt happen quickly, and discount sales can be offered. As mentioned above, inserts will come in a few different varieties. As more are released, this section will be updated to include the release schedule. Stay tuned to the news feed to get information on the different structures in place. From what the original releases are showing, sets like Chop and Vintage are going to be available in the base red pack, where others like Locations and Walker Series have their own pack. Survival Syndicate also looks to be set for a different format, with an insert box available through direct purchase every week. The best strategy is to read the articles as soon as the newest release hits the store, and find out the ways to get the best shot at the card. Sometimes, master access grants early pack access through the deluxe packs, but at different odds. Other times, a special box containing all the weekly inserts might be released at a higher cost. We do not have information at this time regarding the marathons that are being used, but they will be among the top cards in the app. There will likely be a marathon for each day of the week, including awards for collecting each wave and all the cards. As information becomes available, this section will be updated. Because of the long chases, these sets tend to generate a rabid following. Many users will base their entire app spending on the marathons they collect, and it will add value based the how many people are looking to build their set. Odds for the marathons can vary, some will be very difficult to pull, others will be easier. Its best to see how many coins you are looking to spend and use your resources appropriately. For most people one or two marathons is very manageable. Wave 1 Week one cards have a tremendous value increase for a number of reasons. Dont expect to get them very easily. Each new leg of the marathon will have new week 1 cards that will likely carry more value. 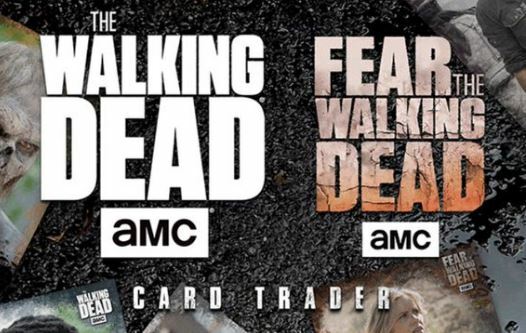 Trading can happen one of many ways, but the two most common are from the fan feed, or from the main card sheet.